Stand Up Paddle Boarding is what’s up! If you’ve been out on the lake lately, you’ve probably noticed the many paddle boarders that are plying the waters of the East Bay and the edges of the Main Lake. Stand Up Paddle Boarding is one of the fastest growing sports in the world, and in Canyon Lake it seems. The sport has really taken off worldwide in the last 10 years with boards showing up along the rivers, lakes and coastlines. Originally popular in Hawaii as paddle surfing, the large boards make it easy for beginners to learn the sport on a variety of water conditions. Boards generally range from 9′ for recreational boards up to 14′ for racing and touring boards. 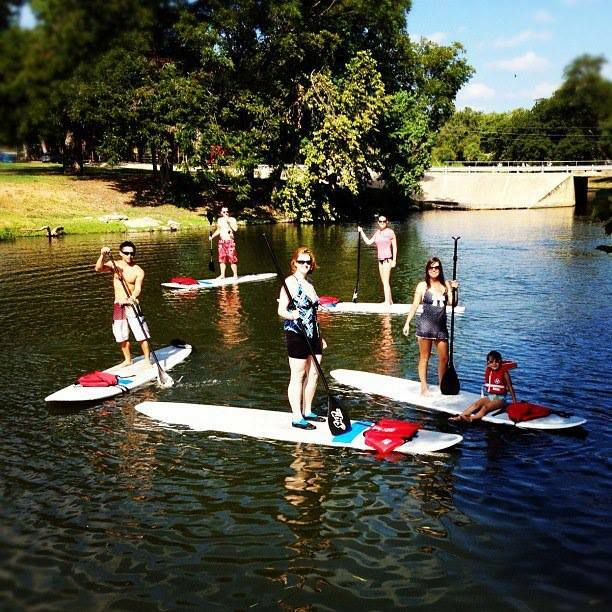 Paddle boarding provides a great core workout exercising the trunk muscles, chest, back, arms and legs. Most beginners notice a real workout in their feet and lower legs as well since it takes balance and stability to stand continuously while paddling. 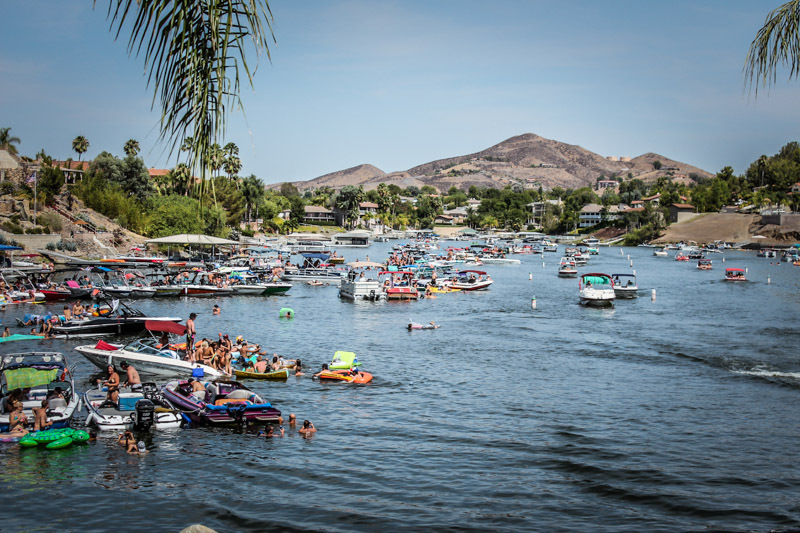 And it’s an outstanding social activity especially in Canyon Lake where you can cruise around at a leisurely pace taking in all the scenery or just hanging out in a quiet cove. 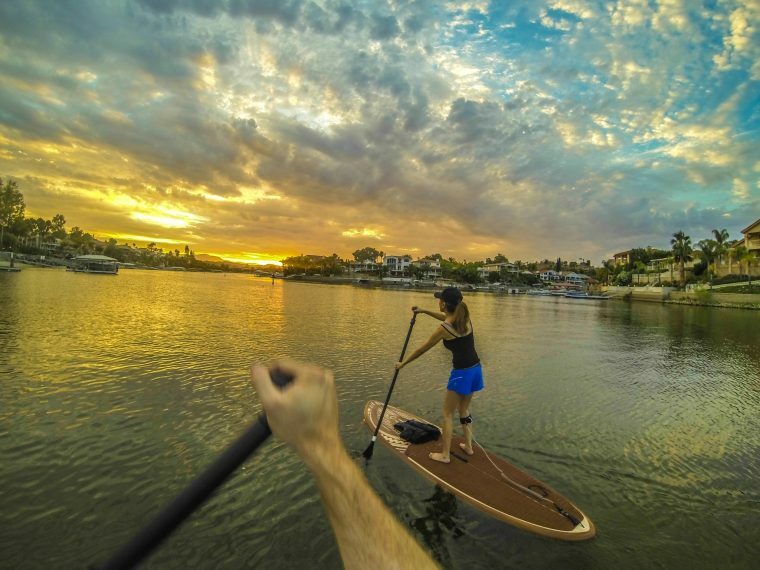 Paddle boarding is easy to try with many places in Southern California where boards are available to rent and lessons are available for beginners. If you would like to buy a board, prices generally start around $500 and up with some of the specialized racing boards costing well into the thousands. Learning is pretty natural and it’s easy to start by just sitting or kneeling on the board and working your way up to standing. Paddling is fairly easy to figure out, but there are some advanced techniques to get more out of each stroke. Like most things these days, there are some great instructional videos on YouTube that can get you started and then it’s just a matter of practice. 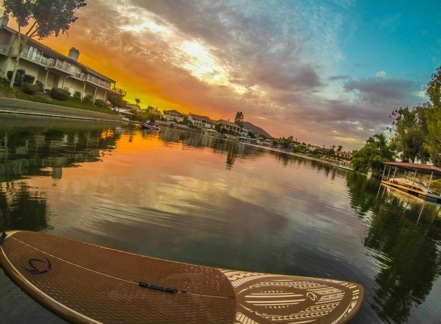 In Canyon Lake, Stand Up Paddle Boards are allowed anywhere in the East Bay and in the 5 m.p.h. zones of the main lake around the edges and in the coves. Boards are not allowed to cross the center of the main lake because of the faster boat traffic. The Coast Guard treats Paddle Boards as vessels and as such requires personal flotation devices to be worn in many parts of the country. The Canyon Lake Marine Patrol so far just requires that a life jacket for each rider be present on the board. Boards out after dark, must have visible lights for safety. Always check the POA website for the most up to date rules regarding operating a paddle board or any other vessel on Canyon Lake. If you want to try stand up paddle boarding, the annual Pedal and Paddle Regatta sponsored by the Canyon Lake Triathlon club is a great opportunity. There are always lots of experienced riders to give you tips and usually a few board companies with demonstration boards to try out. It’s a fun event with food served afterwards. this years event is Saturday August 17th at 10:00 am at Indian Beach. 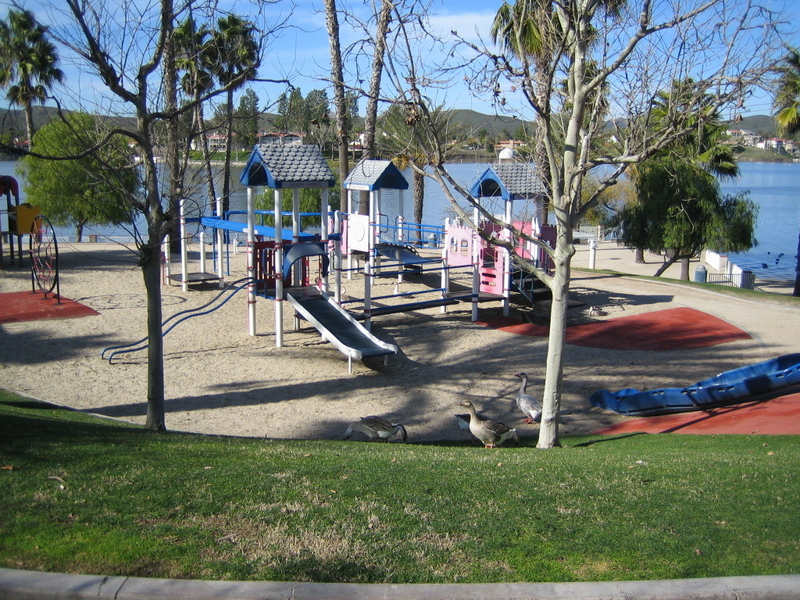 Welcome to Canyon Lake, one of the most unique cities and communities in Southern California. 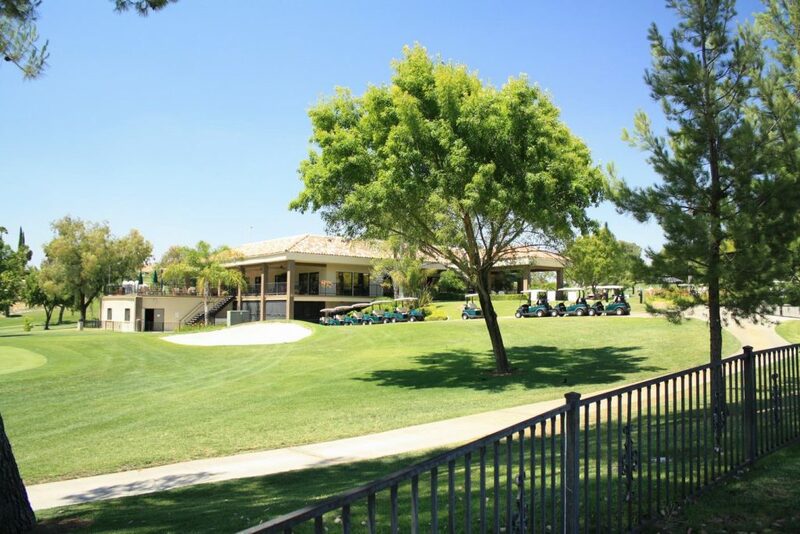 It truly is a rare community that we hope to show you more of it here at Canyon Lake So Cal. We'll keep you informed about the events, recreation, local restaurants, local shopping, and real estate news you need to get the most out of Canyon Lake. So browse around the site and get to know the area and you'll soon understand why we call it "A Bit of Paradise". 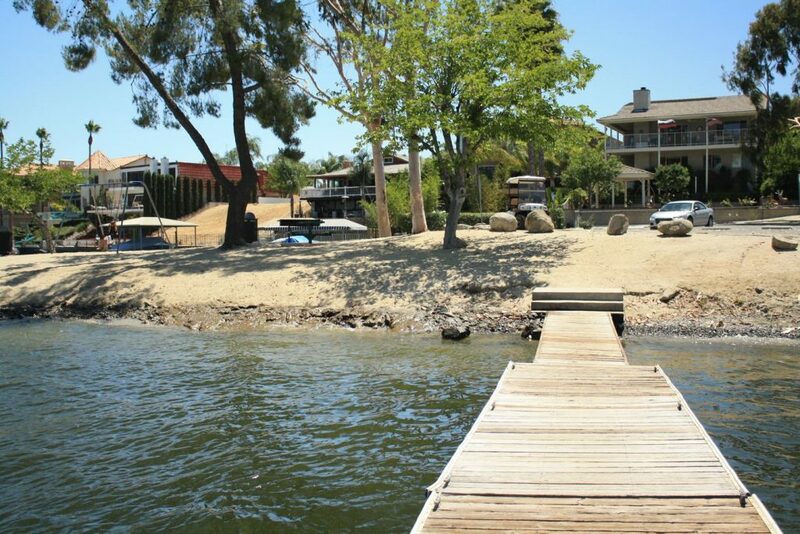 The Canyon Lake So Cal website and facebook pages are published by local real estate broker and Canyon Lake resident Justin Bevins. To reach Justin for more information or to schedule a tour of our community, please click here or call 951-326-0521. Canyon Lake is a private gated community with access only for property owners and their guests so if you would like to come out and view the community or homes for sale, the best way is to schedule a tour with a local real estate agent who lives in the community. Copyright 2018 by Canyon Lake Southern California.